Start saving energy with this bright idea: Replace your bulbs. Better for Our Planet. According to EnergyStar.gov, if every home in America replaced just one incandescent light bulb with an ENERGY STAR qualified CFL, we would save enough energy every year to light 3 million homes and prevent greenhouse gas emissions equivalent to those from about 800,000 cars. More affordable now. Energy-saving lighting can feel more expensive at checkout when compared to the cost of incandescent bulbs. But, keep in mind that the overall cost of LED bulbs and CFLs have significantly declined in recent years — down 85% since 2007. Plus, you won’t replace them as often as incandescents. You might want to update this article based on recent developments at MIT where they have developed new incandescent bulbs that are more efficient than either LED or CFL and will be much cheaper to make. You may not want to replace all your incandescents just yet. Thank you for your feedback. Right now, we’re hoping to steer customers to the energy-efficient choices currently on the market. But, we’ll look forward to new advances in technology so that we can have even more options in the future! I replaced most of the bulbs in my house several years ago with CFLs, but have discovered they don’t last anywhere near the advertised 10,000 hours. Many have had a shorter life than the incandescent bulbs they replaced. You did not comment on the fact that some (maybe all?) 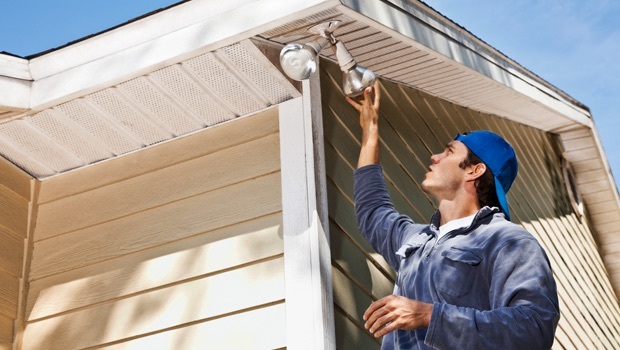 CFLs and LEDs cannot be used in an enclosed globe – like the ceiling light on my front porch. One needs to be careful to read all the fine print before one buys any bulb! Thanks for the feedback, Dunstan. That’s a good point about reading the fine print. Thanks, I’ve already switched bulbs years ago! All my appliances are new within the last five years and are energy efficient. Anything to save on energy! By the way, Ive just begun my second year with Constellation. would like to know why I no longer have Constellation delivering my gas when I have a contract with both JCPL and New Jersey Natural Gas….not sure what exactly caused all the problems. We would be happy to look into this for you. To help expedite things and keep your information safe, would you please email feedback@constellation.com about this question?